WILKES-BARRE — Bryan Stevenson, attorney, human rights activist and executive director of the Equal Justice Initiative, will deliver the Max Rosenn Lecture in Law and Humanities at 2 p.m. on Sunday, April 14, in the Dorothy Dickson Darte Center for the Performing Arts, 239 S. River St., Wilkes-Barre. Stevenson will meet with university students for a question and answer session from 12:30 p.m. to 1:30 p.m. 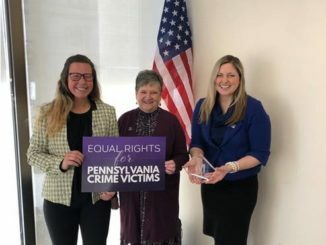 The session will occur in the Miller Room on the second floor of the Henry Student Center, 84 W. South St..
Stevenson is the founder and executive director of the Equal Justice Initiative and one of the most acclaimed and respected lawyers in the nation. 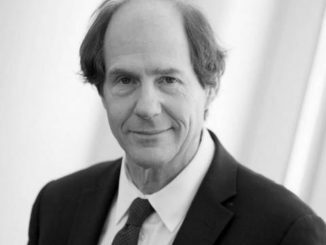 His memoir, “Just Mercy,” is the story of a young lawyer fighting on the front lines of a country in thrall to extreme punishments and careless justice. It is an inspiring story of unbreakable humanity in the most desperate circumstances, and a powerful indictment of our broken justice system and the twisted values that allow it to continue. A book signing will immediately follow the lecture. DALLAS — Kevin Ransom, a 24-year veteran of the Department of Corrections and a graduate of GAR High School, has been appointed superintendent at the State Correctional Institution (SCI) Dallas. The appointment was effective April 7. As superintendent of SCI Dallas, Ransom will be responsible for overseeing 646 employees and approximately 2,100 inmates. 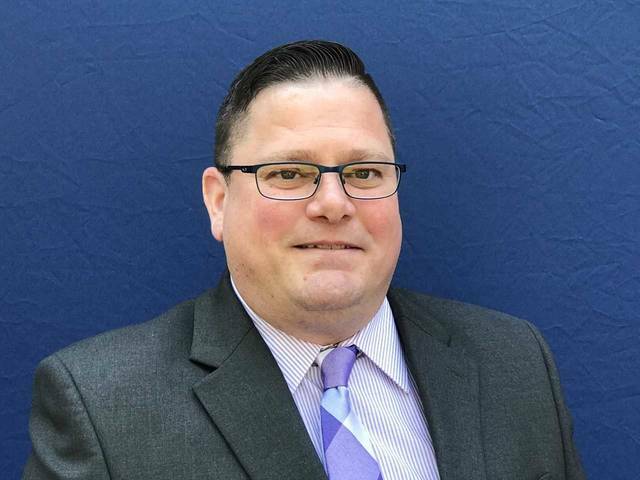 Ransom began his career with the Pennsylvania Department of Corrections as a corrections officer at SCI Graterford in 1995 and was promoted through the officer ranks at SCI Dallas and SCI Muncy. He also worked as a lieutenant and captain for the Bureau of Community Corrections and as a criminal investigator with the DOC’s Office of Special Investigations and Intelligence before being named deputy superintendent for centralized services at SCI Retreat in 2016. He also has served as deputy superintendent for facility management at SCI Muncy, and he was named superintendent of SCI Waymart in February 2018. Ransom was a parole agent with the Pennsylvania Board of Probation and Parole. Since 1992, he has served as a police officer for several Luzerne County police departments and continues to serve the Courtdale Borough Police Department. Ransom is a member of the Luzerne County D.U.I. 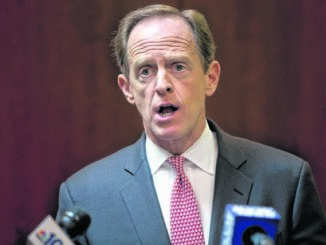 Task Force and is a former member of the Pennsylvania Attorney General’s Drug Task Force. He is a graduate of Grand Army of Republic (G.A.R.) Memorial High in Wilkes-Barre, attended Lackawanna College and is a graduate of the Pennsylvania Municipal Police Officers Training Academy. Reach Bill O’Boyle at 570-991-6118 or on Twitter @TLBillOBoyle. KINGSTON —	In one way, it was a celebration of thousands of years worth of tradition. 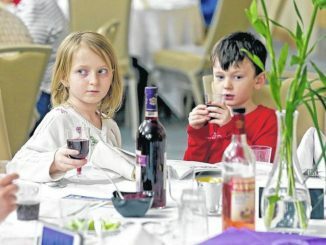 In another way, as people gathered at the new Jewish Community Center in Kingston for its first Passover Seder, a new tradition was born on Friday. The Jewish holiday of Passover has been celebrated for over 3,000 years, with Jews worldwide remembering the liberation of the Jewish people from slavery by God under the leadership of Moses, as told in the Book of Exodus. This year, the multi-day holiday began on Friday night, and continues until sundown on April 27. 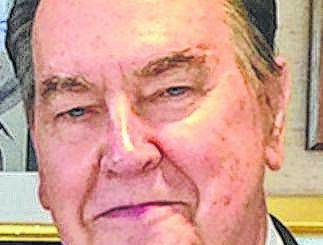 Dr. Seth Kauffer, a board member for the Jewish Community Association of Northeastern Pennsylvania, spoke on the dual meaning of the holiday for the local Jewish community this year. “It’s a very special time of year, celebrating the rebirth of the Jews as they were freed from Egypt,” Kauffer said. Additionally, though, it was the first Seder meal to be celebrated in the new JCC, located on Third Avenue in Kingston, which was first opened earlier this year. Kauffer said the attendance of the Seder meal was record-breaking — all 200 tickets were sold for the meal, double what was sold last year. David Lantz, the JCA’s board president, was thrilled to have the Seder in the new building. 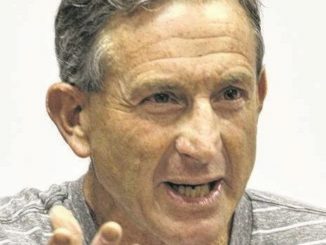 “Exciting; I don’t have another word available,” Lantz said with a beaming smile. In the dining room, Rabbi Larry Kaplan led the faithful through the meal. Each piece of food on the table has some symbolic value — a lamb shank represents the lamb Jews in Egypt ate while the Angel of Death visited Egyptians; matzah bread recalls the unleavened bread made while the Jewish slaves were quickly preparing for their Exodus. What’s more, the food needs to be eaten in a particular order; the word “Seder” means “order” in Hebrew, Kaplan said. Kaplan said that the Passover meal is about more than just remembering the past; as it reminds the faithful that there are still metaphorical Egypts to escape from to bring everyone closer to God. “Why do we do this every single year if not to think about what’s wrong and to make things better?” Kaplan asked. 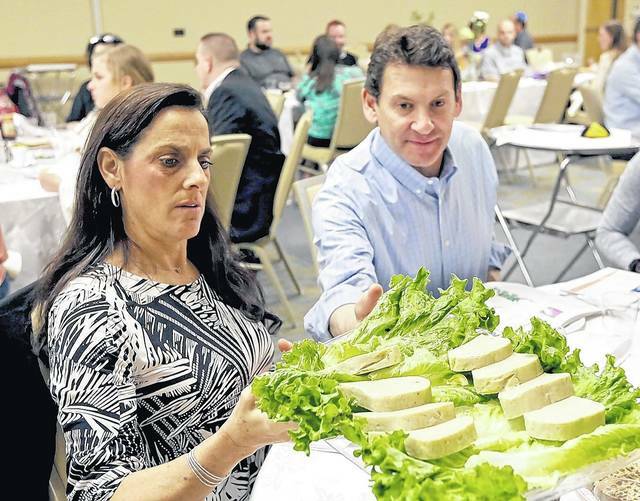 Deana Manzoni, left, passes gefilte fish to Bruce Lefkowitz, both of Kingston, during the Passover seder at the Friedman Jewish Community Center in Kingston on Friday evening. 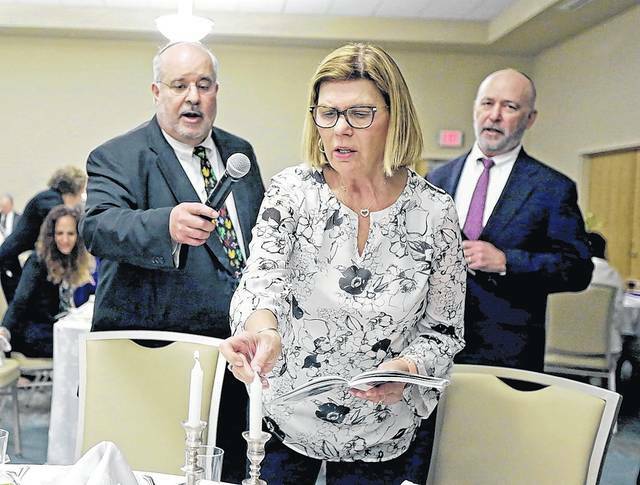 Rosemary Chromey, of Wilkes-Barre, center, says the Shehecheyanu as she lights the Passover seder candles with Rabbi Larry Kaplan, left, and Cantor Ahron Abraham at the Friedman Jewish Community Center in Kingston on Friday evening. 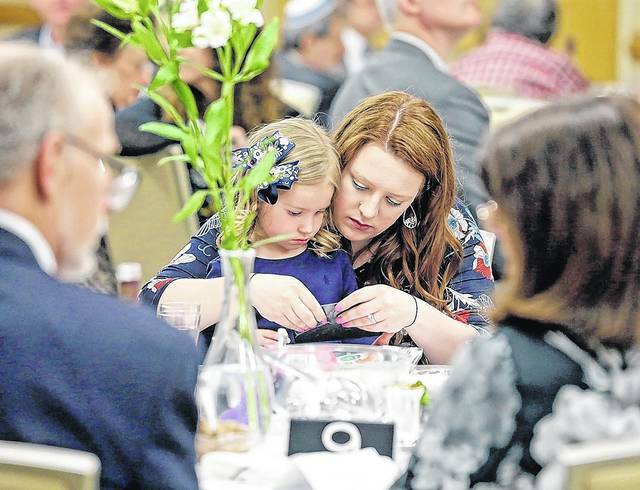 Four-year-old Avery Lantz and her mom Kiera, both of Kingston, open Passover stickers during the seder meal Friday evening at the Friedman Jewish Community Center in Kingston. 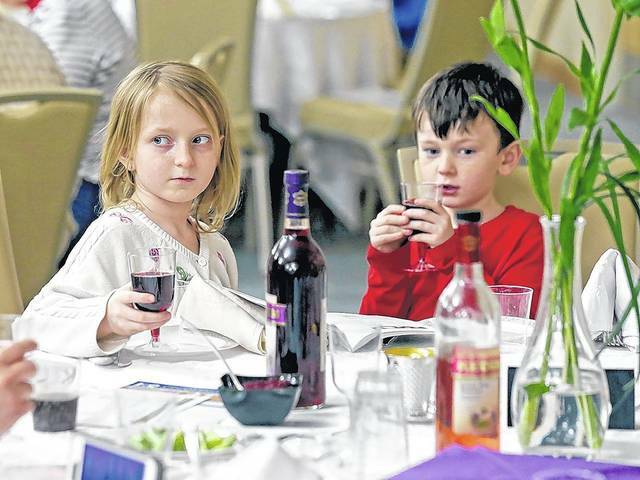 Andie Gray, 8, left, and her brother Kevin McCawley, 6, both of Sugarloaf Township, hold glasses of grape juice during the Passover seder at the Friedman Jewish Community Center in Kingston on Friday evening. 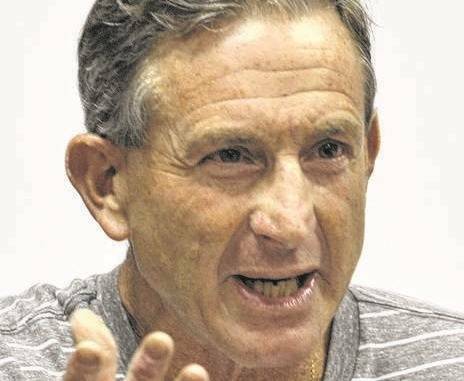 WILKES-BARRE — The Greater Wilkes-Barre Taxpayers’ Coalition will meet at 6:15 p.m. Tuesday, April 23, in the meeting room of the Osterhout Free Library, 71 S. Franklin St.
Sam Troy, organizer of the group, said topics of discussion will be sponsorship of a Wilkes-Barre city council candidates’ forum on May 13 at King’s College and possibly including city controller candidates in the forum that night. For more information contact Troy at 570 235-9280. WILKES-BARRE — Three fugitives wanted on various charges were apprehended during a proactive sweep in Wilkes-Barre on Friday. City police teamed up with state police and U.S. deputy marshals resulting in the capture of Imar Pena, Kameek Salinsky and Z’quan Leon Steeps. Authorities first targeted 65 1/2 Dana St. arresting Steeps, 25, on domestic violence charges and finding a semi-automatic firearm under a mattress in a bedroom. The firearm was reported stolen to Scranton police. Authorities said Steeps is a convicted felon on probation and prohibited from carrying, owning and handling a firearm. 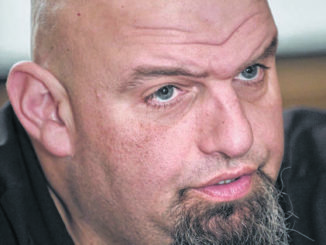 Court records say Steeps was sentenced by Luzerne County Judge Joseph Sklarosky Jr. on March 28 to one year in the county’s Intermediate Punishment Program on drug trafficking charges. Authorities said Steeps is facing a felony firearm charge. Steeps was arraigned by District Judge Daniel O’Donnell on charges of simple assault and harassment stemming from an incident on March 20 in Wilkes-Barre. He was jailed at the Luzerne County Correctional Facility for lack of $25,000 bail. Salinsky was arrested at 31 Lincoln Plaza where Pena was also located, authorities said. 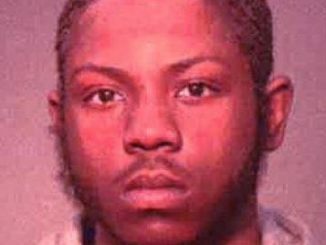 Authorities said Salinsky is wanted for a probation violation on a robbery conviction in New York City where he was involved in a shooting. 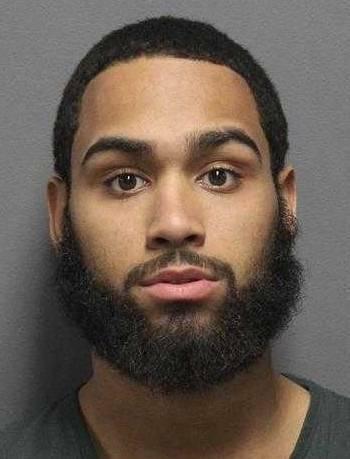 Pena, 19, last known address as Darling Street, Wilkes-Barre, was wanted for skipping a preliminary hearing in Luzerne County Central Court on March 6 on charges by Plains Township police he was carrying counterfeit cash on Feb. 22, court records say. Plains Township also has an arrest warrant for Pena on forgery related charges. Pena was jailed at the county correctional facility and Salinsky was being processed as a fugitive from justice. WILKES-BARRE — The Downtown Residents’ Association will hold two events for candidates in the upcoming May 21 municipal primary. The first will be a public forum for Wilkes-Barre Area school board candidates on Friday, May 3, from 7 p.m. to 9 p.m. in the ballroom of Wilkes University’s Henry Student Center at 84 W. South St. The event is free and open to the public. All Wilkes-Barre Area school board candidates listed on the official Luzerne County candidate roster have been invited to attend. The forum is intended to provide an opportunity for all city residents and interested citizens to hear from the candidates. The candidates will make opening statements and participate in a moderated question-and-answer session. Afterward the candidates can meet with audience members. 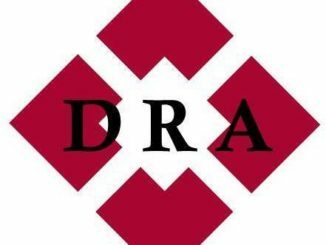 On Monday, May 6, the DRA will hold a “Meet and Greet” for Wilkes-Barre mayor, city council District B and C, and controller candidates. The event also is free and open to the public. It will run from 7 p.m. to 9 p.m. and be held in the ballroom of the Henry Student Center. Candidates listed on the county’s official roster have been invited to participate. Candidates will make opening statements and informally meet with the audience. WILKES-BARRE — Pennsylvania’s unemployment rate is at a record low — 3.9 percent — the lowest since 1976. And jobs numbers hit another record high — the biggest gain coming in professional and business services jobs. The Pennsylvania Department of Labor & Industry (L&I) Friday released its employment situation report for March 2019. Pennsylvania’s unemployment rate decreased one-tenth of a percentage point to a record low 3.9 percent in March — the lowest rate since 1976. The national rate was unchanged from February at 3.8 percent. The Pennsylvania unemployment rate declined by one-half of a percentage point from March 2018. The estimated number of Pennsylvania residents working or looking for work, known as the civilian labor force, was up 5,000 over the month. The number of employed Pennsylvanians rose by 10,000 to a record high of 6,219,000. The number of unemployed residents was down 6,000 from February to its lowest level since it was matched in August 2000. The estimated number of jobs in Pennsylvania — referred to as total non-farm jobs — was up 4,000 from February to a record high of 6,044,500. • Fourth consecutive gain as well as fourth consecutive record high. • Total non-farm jobs increased from February in six of the 11 industry super-sectors. • The largest volume change was in professional and business services, up 2,200. • Education & health services and leisure & hospitality both rose to record high job levels. • Over the past 12 months, jobs increased 0.8 percent in the commonwealth with gains in eight of the 11 super-sectors. Education & health services had the largest volume 12-month gain. Additional information is available on the L&I website at www.dli.pa.gov or on Facebook, Twitter, and YouTube. Note: The above data are seasonally adjusted. Seasonally adjusted data provide the most valid month-to-month comparison. WILKES-BARRE TWP. — Township police released video of a white vehicle they suspect was involved in the shooting of two men on Casey Avenue Wednesday morning. 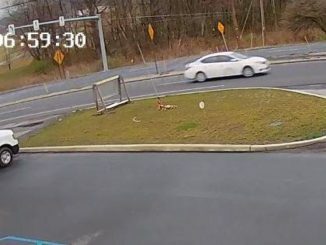 A surveillance camera recorded the white vehicle police said was occupied by two black men traveling south on Route 309 approaching the on-ramp to the southbound lanes of Interstate-81. A time stamp on the camera recorded the vehicle passing at 6:59 a.m. about the same time police say two men were shot in a Honda Civic in front of 605 Casey Ave., near the Kmart loading dock and the parking lot of Cinema 309. Police have not released the names of the two gunshot victims, who were treated at the scene by emergency medical technicians before being transported to Geisinger Wyoming Valley Medical Center. A man living on Casey Avenue told a Times Leader reporter he heard rapid gunfire and a white vehicle fleeing the scene. Multiple evidence markers were placed around the Honda that had its windshield, rear window and driver’s side windows shattered from spent rounds. 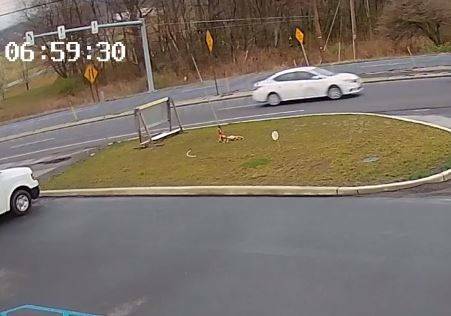 Anyone who may have been on Wilkes-Barre Township Boulevard and Route 309 near the on-ramp to Interstate 81 at about 7 a.m. and especially those with a dash camera is asked to check for recordings of a white vehicle and to contact Wilkes-Barre Township police detectives at 570-208-4635. JACKSON TWP. — With perimeter cameras peering down and razor wire piled high behind them, advocates pushed Thursday for an increase in state funding for early childhood education, repeating the well-documented evidence that money spent on pre-school can pay huge dividends later in life by — among other things — keeping them from growing up into criminals. 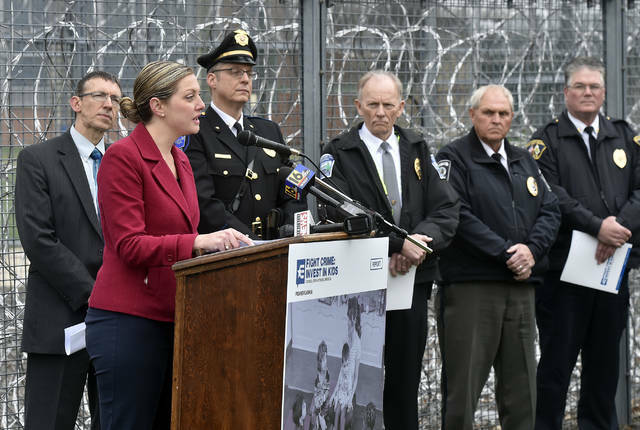 The Pennsylvania state director of “Fight Crime: Invest in Kids,” Clash stood flanked by nine area police department chiefs, Luzerne County District Attorney Stefanie Salavantis, state Department of Corrections Secretary John Wetzel, and several other dignitaries. They had gathered outside the imposing double-fence of SCI-Dallas to unveil a new report titled “Law Enforcement Agrees: High Quality Pre-K is Crime Prevention.” The report updates data backing a long-standing contention that investing in publicly-funded early education helps avoid more costly interventions later in life. Statewide, about 56 percent of those eligible for publicly-funded pre school — about 98,000 children — “lack access because of limited funding,” she said. In Luzerne County the rate is worse, where 64 percent — 2,939 — of eligible children lack access. 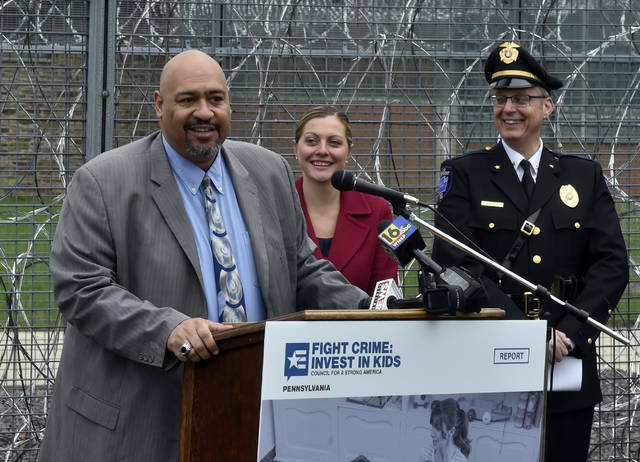 Fight Crime: Invest in Kids is pushing for approval of Gov. 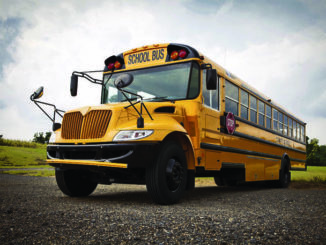 Tom Wolf’s plan to increase spending for pre-K by $50 million in the 2019-20 state budget. $40 million would expand the state’s Pre-K Counts program, while the other $10 million would get more children into the federal Head Start program. Ingrid Everett, an education professor at Bloomsburg University, talked of the rapid development of the brain in the first three years, but also cited an instance where a mother was inspired by the support her child received and decided to go to college and get her degree. 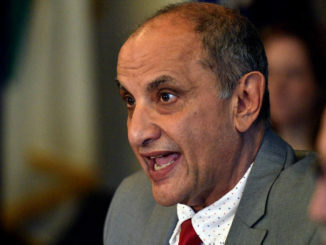 Gesturing toward the prison behind him, Wetzel noted 40 percent of the people who walk through the door this year “do not have a high school diploma. Wetzel quoted escaped slave and noted abolitionist Frederick Douglass. Luzerne County District Attorney Stephanie Salavantis talks of the need for more state money to fund pre-kindergarten classes that research shows, can increase graduate rates and reduce crime and prison populations. WILKES-BARRE TWP. — Township police are still seeking information regarding Wednesday morning’s shooting on Casey Avenue, and they are looking for the public’s help. The shooting left two men, who still have not been identified, severely injured Wednesday morning. 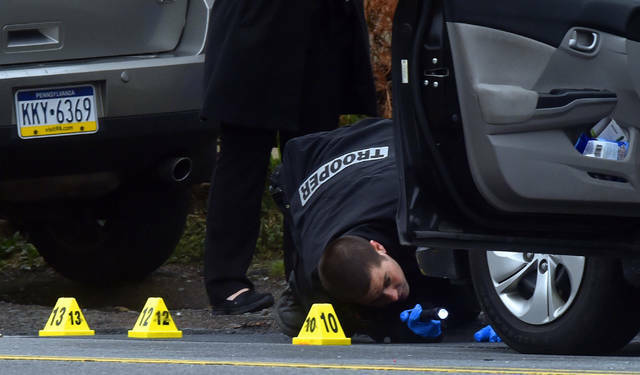 A passing motorist on Casey Avenue noticed a bloodied man lying next to a bullet-ridden Honda Civic, and another injured man was found inside the vehicle. Wilkes-Barre Township Police made a post to their Facebook page Thursday evening with additional information, along with a video that apparently shows a vehicle whose driver they’re interested in speaking to. The post says a late model white sedan — suspected to be a 2019 Nissan Sentra or Altima — was seen leaving the seen, occupied by two black males. Police are asking any drivers who use a dashboard camera and may have been on Wilkes-Barre Township Boulevard (State Route 309) Southbound near the Interstate 81 ramp at around 7 a.m. Wednesday to check their footage for recordings of the vehicle. The video shared by police is surveillance footage taken from an unspecified building on Wilkes-Barre Township Boulevard at that time, and shows a white vehicle driving by. Additionally, anyone with any information on the shooting, the vehicle or its occupants is asked to either message the police department’s Facebook page or call the township’s detectives at 570-208-4635, extension 250. Police have said the shooting is being investigated as an isolated incident and not a random act of violence. 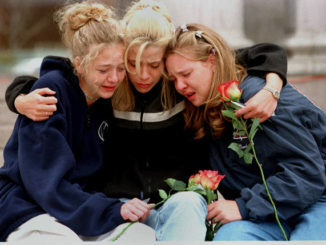 Instead, they believe the perpetrator was targeting the specific victims. State Troopers investigate the scene of an early morning shooting Wednesday on Casey Avenue in Wilkes-Barre Township where two people were shot and taken to the hospital. 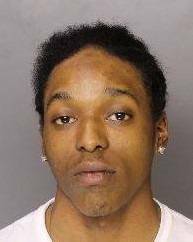 WILKES-BARRE — A city man accused of shooting three people during what city police believe was a botched marijuana deal will face charges in Luzerne County Court. 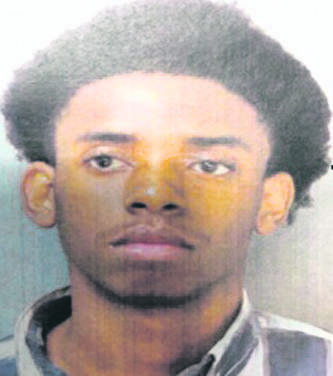 Terence D. Bradley, 19, of South Franklin Street, is accused of shooting Nichole Santiago, Alanah Sobrinski and Miles Singleton in the area of Sullivan and Sambourne streets Feb. 12. Santiago, 20, and Sobrinski, 19, both of Scranton, were found in a bullet-ridden vehicle on South Main Street, authorities say. 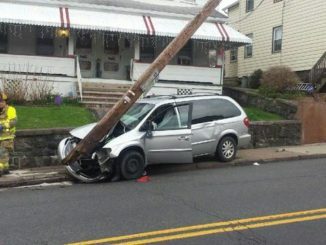 Singleton, 20, of Moosic, fled the scene with two juveniles inside the vehicle. Santiago became paralyzed due to the gunshot injury to her back, court records say. 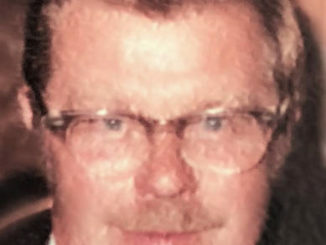 During hospital interviews with Santiago and Sobrinski, investigators learned Santiago was driving a Toyota with Singleton directing her where to drive in Wilkes-Barre as they planned to rip-off “Billy Ace” to obtain marijuana. Bradley is known as Billy Ace. The drug deal was set up through Facebook, court records say. When Santiago stopped in the area of Sullivan and Sambourne streets to meet Billy Ace, a transaction took place and Singleton yelled “Go, go, go.” Santiago drove away as Billy Ace fired multiple rounds at the vehicle. Santiago continued to drive, stopping when she turned onto South Main Street where police found them. 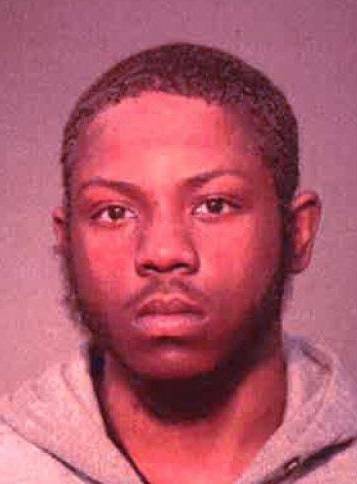 Singleton suffered a gunshot wound to his leg, police said. Bradley appeared for a preliminary hearing Thursday before District Judge Richard Cronauer in Wilkes-Barre, who forwarded five counts of recklessly endangering another person and three counts of aggravated assault to county court. Bradley remains jailed at the county correctional facility without bail. WILKES-BARRE — A Back Mountain volunteer fire company recently settled a civil lawsuit filed by the parents of female junior firefighter who was sexually assaulted by an officer in the department. The suit against Trucksville Vol. 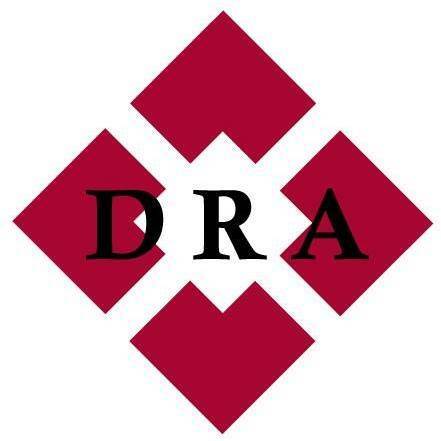 Fire Department and former Lt. Joshua James Ralston, 22, was filed in May on behalf of a minor and the minor’s mother by attorneys Michael A. Lombardo III and Michelle M. Quinn of Hourigan, Kluger and Quinn. The suit alleged the fire department permitted the girl to join the junior firefighter program in July 2016, one year before the minor’s 14th birthday, when minors are eligible to join. 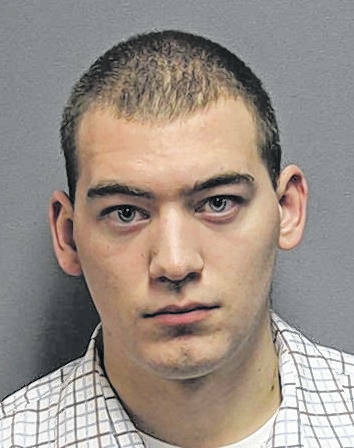 Soon thereafter, Ralston contacted the girl and sent her sexually explicit messages on a social media app, before engaging in sexual encounters with the girl, the suit alleged. Dallas Township police charged Ralston in August 2017 with having a sexual relationship with the girl. The case was prosecuted by the state Office of Attorney General. Ralston pleaded guilty to two felony counts of statutory sexual assault and was sentenced Feb. 8, 2018, by Luzerne County Judge David W. Lupas to 11 months to 23 months in the county correctional facility, followed by two years probation. The suit alleged the fire department’s environment was a “boys club,” comprised of younger men who shared interest in sexual conquests of younger females. During litigation, Lombardo and Quinn filed a motion in December seeking a judge to force the fire company to turn over documents and respond to questions related to the lawsuit. Last month, the two attorneys filed a petition to approve a settlement reached with the fire department. 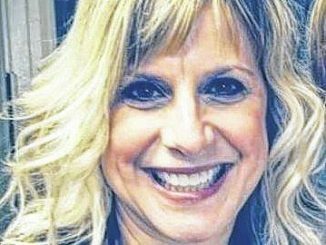 According to the settlement approved by Luzerne County Judge Thomas F. Burke Jr. on March 6, the fire department paid $35,000 to end the litigation, with nearly one-third of the amount paid to Hourigan, Kluger and Quinn. 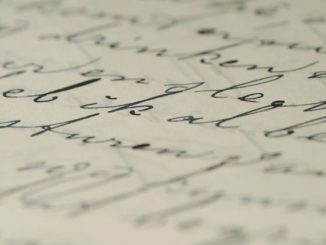 The settlement also ended litigation against Ralston, who did not respond to the lawsuit and was considered insolvent. WILKES-BARRE — They came in a small white van, encased in generic, flat wooden boxes. But once unloaded, unpacked and upright in the Chapel of Christ the King at King’s College, they drew the eye like a magnet. The icons represent two religious figures key to King’s history and mission: Blessed Basil Moreau, founder of the Congregation of Holy Cross which established King’s (along with other schools, including the University of Notre Dame) and Our Lady of Sorrows (Mary, the Mother of Jesus) one of three patrons of the Congregation. Artist Grace Zazzaro said it took about 11 months to make the icons, which were rendered on custom poplar panels using paints she made herself in the egg tempera style, grinding minerals that provided the hue and blending them with an egg mixture. Once it fully hardens, she said — a process that could take years — it will be “impossible to remove. “There are icons of this that have lasted 2,000 years,” she said. The figures are drawn in a style blending Byzantine iconography with other influences, and she surrounded them with 23 karat gold leaf— an addition that may help account for the weight of the icons, about 70 pounds each. The gold makes the icons appear to almost be floating, and with the overhead lights turned off at Zazzaro’s suggestion the colors took on a very different patina, the gold becoming more pronounces. “It just pops,” Looney, campus ministry director, commented. The icons will be blessed at a later date and are ultimately headed for the new chapel being prepared in the historic Memorial Presbyterian Church on North Street. That church will be officially named The Chapel of Christ the King at the George & Giovita Maffei Family Commons, with a small wing of offices and a conference center under construction. Looney said the icons are designed to be placed on each side of the large crucifix that will hang behind the altar in the new chapel, giving the appearance that each figure is looking toward the crucifix between them. 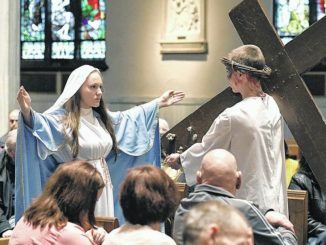 The crucifix for the new chapel is actually coming from the former Sacred Heart of Christ Church on North Main Street in Wilkes-Barre, clothed by the diocese despite lengthy and passionate efforts by members of the congregation to keep it in service. The new chapel will also use an altar sculpted from a block of coal in 1956 by Charles Edgar Patience, giving it new prominence. That altar sits in a side meditation room in the current chapel, easily overlooked by visitors. Artist Grace Zazzaro explains the egg tempera paint process she used to paint two life-size icons for King’s College. Their view: Will rich-guy Sanders finally realize capitalism works?